New Orleans New Orleans is a service worker, hospitality industry city, as are an increasing number of other areas in the United States. Tips are always an issue when so much of the workers’ income depends on them, especially when employers pay the federal minimum wage for tipped workers of $2.13 per hour versus the federal minimum for other workers of $7.25 per hour, which has been frozen for what seems like most of this century. In some states and cities, like San Francisco, Seattle, and, most recently, Flagstaff, Arizona, voters and public officials have taken steps to try to deal with this issue. Washington, DC put this issue on the ballot as well. The voters passed the measure overwhelmingly to stairstep up the level for tipped workers to the full minimum wage in the city which is on its way to $15/hour. In a democracy most of us, for or against, would have thought that settled the matter, the voters have spoken. In Washington though somehow the National Restaurant Association, always on record against the measure before and after the vote, has joined with some of the restaurants in the capitol city and convinced the DC city council to review the measure and potentially overturn the vote of the people. How could this be possible? All of us know Washington has become crazytown, but we thought that was just on the federal level. We didn’t realize that the new autocracy had leeched down to the city level as well. On Wade’s World, I talked to David Cooper, a Senior Economic Analyst for the well-regarded Economic Policy Institute (EPI) and the deputy director of EARN, the Economic Analysis Research Network, about a study he authored in the middle of this mess to remind the city council that in fact the evidence thus far is that workers do better financially in “one wage” cities than in tipped cities. In DC, the numbers also matter because the data Cooper has marshaled also remind anyone interested that in a majority African-American city, blacks do worse by a more than 20% margin than white workers on tips, and black women do the worst of all, so they stand to benefit critically from a “one wage” program. Cooper’s report reminds workers and the public of a key fact about the “tipped” wage that the restaurant folks like to sluff over as they pretend to be concerned about their workers income. 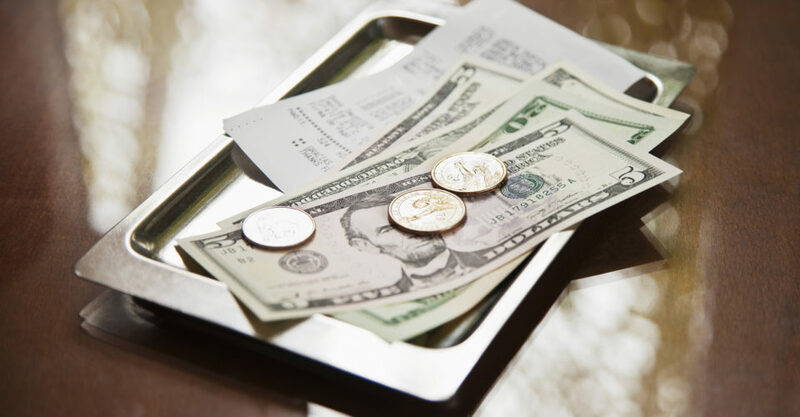 The level between the tipped minimum whether $2.13 federally or over $3.00 in DC is a direct subsidy from the worker’s tips provided by the customers for their excellent service which is then effectively passed over to the employer until the DC minimum or elsewhere the federal minimum is reached, and that’s nearly $10 an hour. What is left after the worker de facto pays their employer for their space on the floor or behind the bar is all that is gratis. So even ignoring the basic democratic facts that the voters have spoken, how could this ever be fair? I’m reminded of an organizing committee meeting of a bunch of carriage drivers in the French Quarter that we organized years ago. At one union meeting an argument broke out when the members started debating whether their work was “a job or a hustle.” That says it all. These are jobs. They need to be paid with the respect, dignity, and wages that the workers deserve. The rest is lagniappe. Please enjoy Rosanne Cash & Sam Phillips’ She Remembers Everything. Carl Broemel’s Starting from Scratch. This entry was posted in Citizen Wealth, DC Politics, Financial Justice and tagged minimum wage, service industry workers, tipped workers by Wade. Bookmark the permalink.